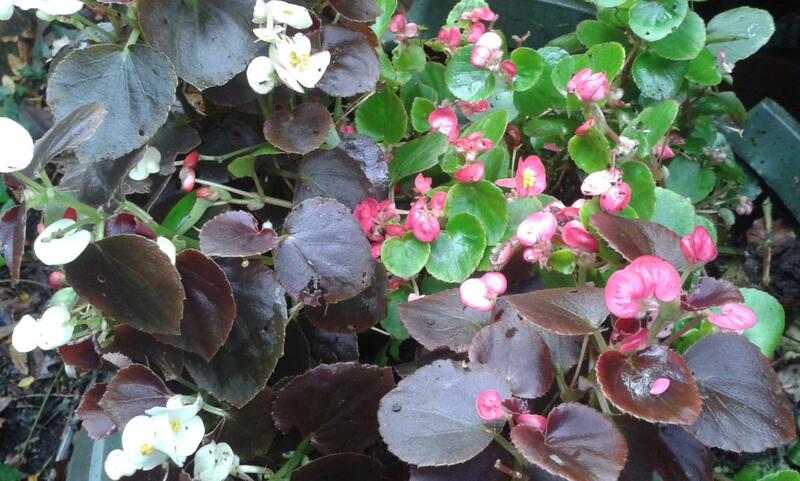 Begonias In December ? ! ? Wow, what changes we are seeing in the climate regionally and worldwide! Is it normal to find that your begonias and other related plant varieties are doing just as fine in the beginning of December as they were in the middle of August ? Right now in my current city (London), you can see tree varieties, shrubs etc. having a second flush of flowers (especially Viburnums and Camellias), Hydrangeas are showing buds forming … lets hope they don’t have problems once the weather really changes given they are currently diverting their nutrients and energy into bud, flower / foliage production … and not into their natural state which should right now be dormancy! Don’t hesitate to share your own anomalies from your garden/s as it is good to document these things for future reference. I am now seriously contemplating sowing a second batch of Nitrogen Fixing Green Manure since my first batch half failed (Due to negligence on my part) – It will most likely be Red Clover ( Trifolium pratense ) due to their hardiness and the fact that I have a good supply of seeds … keep an eye on the blog, I will update soon what the result is.